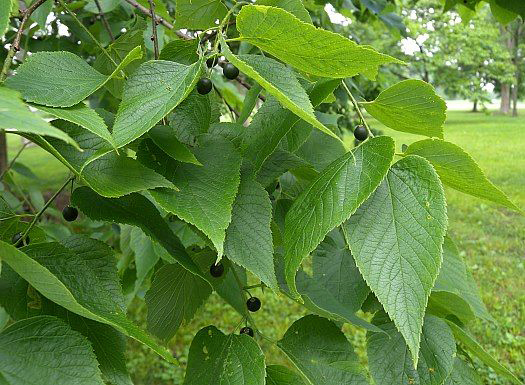 Celtis occidentalis, generally known as Hackberry or less commonly as American hackberry, Mississippi hackberry, Nettletree, Northern hackberry, Sugarberry and beaverwood, is a species native to North America. 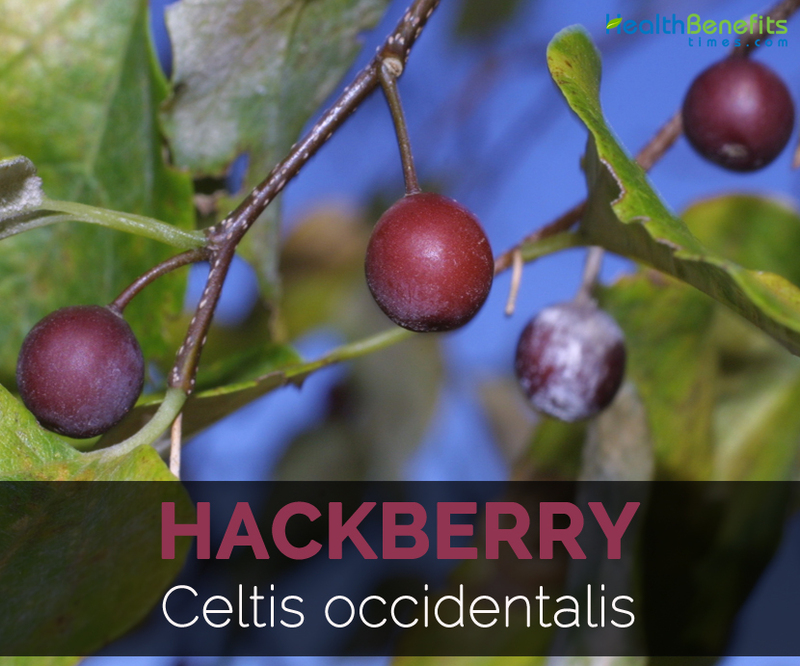 Hackberry is deciduous and perennial tree comprising the flowering plant genus Celtis in the plant family Ulmaceae. 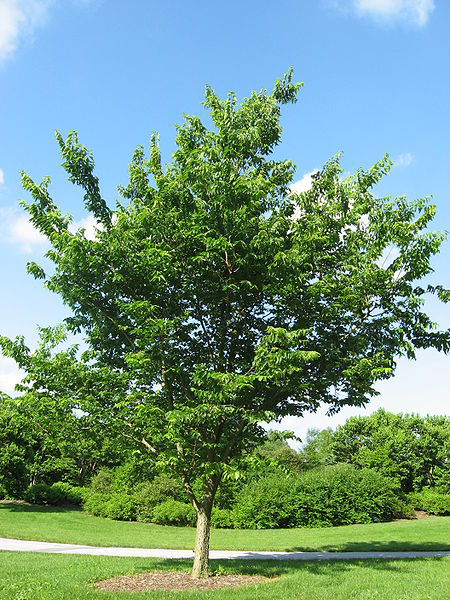 Some common varieties of Hackberry are: Green Cascade, Prairie Sentinel, Prairie Pride and Magnifica. Celtis occidentalis grows as a tree from 40-80 feet tall and may live for up to 150-200 years. The bark is grayish brown, corky warts and has ridges. The leaves are 2 ½-4 inches long; 1 ½ inches wide, alternately arranged, oval to lanceshaped, pinnate and green. 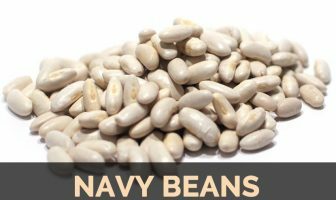 The fruit is an oblong drupe, oval of 1/4-1/3 inch as a diameter. Flowers are small and greenish to yellow. This plant attracts butterflies, bees and birds. 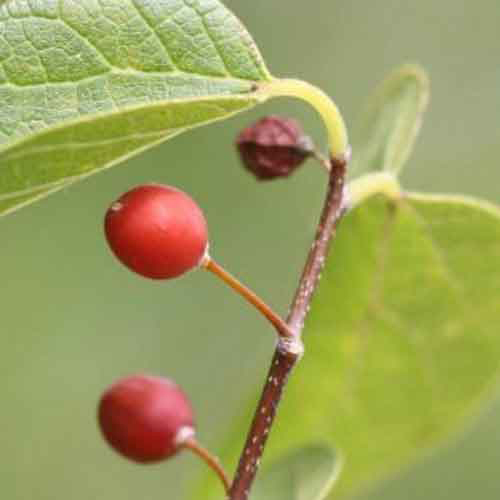 The Native Americans used Hackberry as the medicines or food. Free radicals are related with the health ailments such as ageing and cancer. 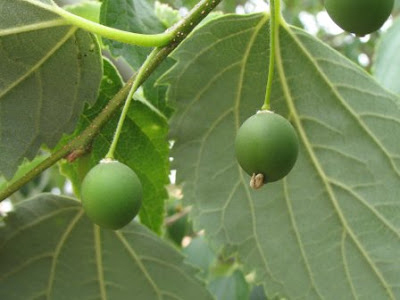 Hackberry is the plant which is used in folk medicine due to its cytotoxic and antioxidant properties. The investigation shows that the leaf extracts and the isolation of bioactive compounds. The n-butanol fractions, aqueous and ethanolic extracts and isolated compounds were tested for the presence of antioxidant activities with the use of xanthine oxidase induced generation of superoxide radical, DPPH radical scavenging assay. With the use of standard MTT assay, the cytotoxic activities were studied. The variable cytotoxic activities were showed by all extracts. The study shows that the leaf extracts possess the cytotoxic and antioxidant activities. Flowers are nectar source for bees which are considered as the main pollinators. Each fruit possess one seed. The tree has soft wood which is used for firewood and manufacture of cheap furniture, fence posts, boxes and plywood. The tree is planted on the banks of river to prevent soil erosion and flooding. Native Americans used the tree as fuel source for fire during ceremonies. Various mammals and birds feed on the berries of the tree after they ripen. 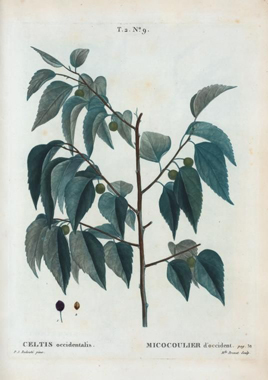 Celtis cordifolia L’Hér. ex Duham. 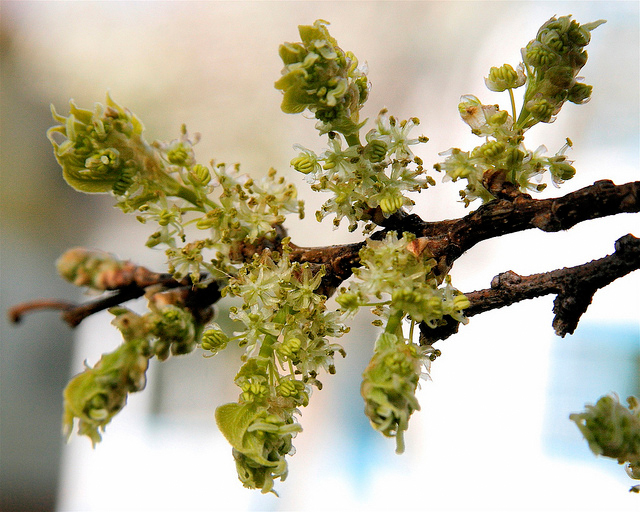 Celtis occidentalis f. neglecta F.Seym. Celtis occidentalis var. cordata (Pers.) Willd.